The morning after arriving in Niagara-on-the-Lake, my boyfriend and I began our journey on rented bikes. 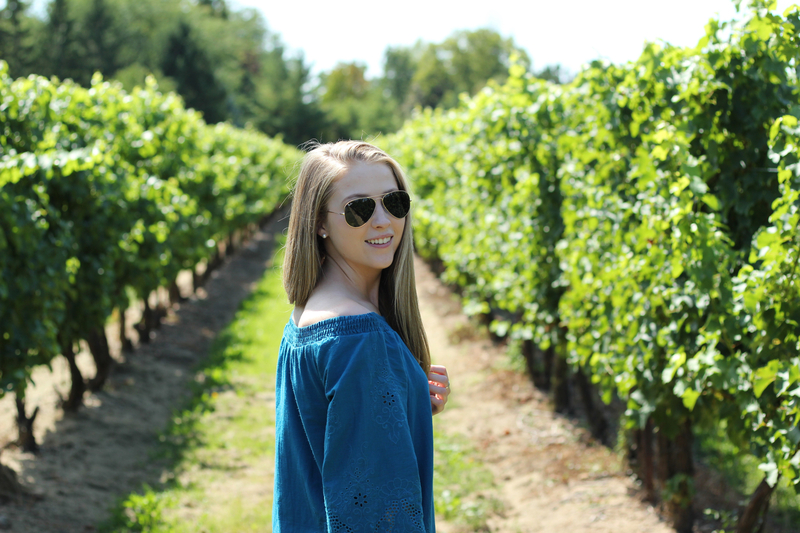 We had an ambitious day planned, which included wine tastings at four different wineries. We had contemplated renting electric scooters but this seemed mildly dangerous to do while under the influence of alcohol. 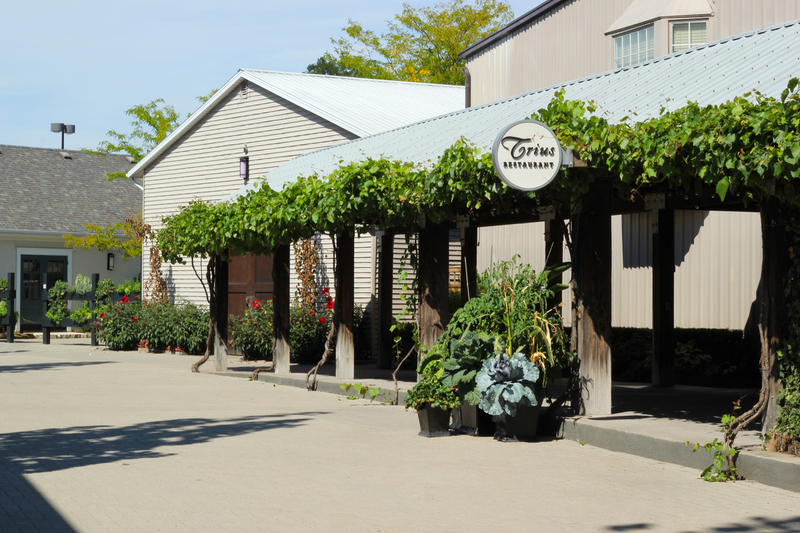 The first three wineries included Reif Estate Winery, a winery by the river, Caroline Cellars, a casual winery known for their fruit wine, and Trius Winery, a higher end winery famous for their reds. I was dying in the humid 30+ degree celsius weather and wished I could have hopped in one of the many air-conditioned limos driving bachelorette parties around. 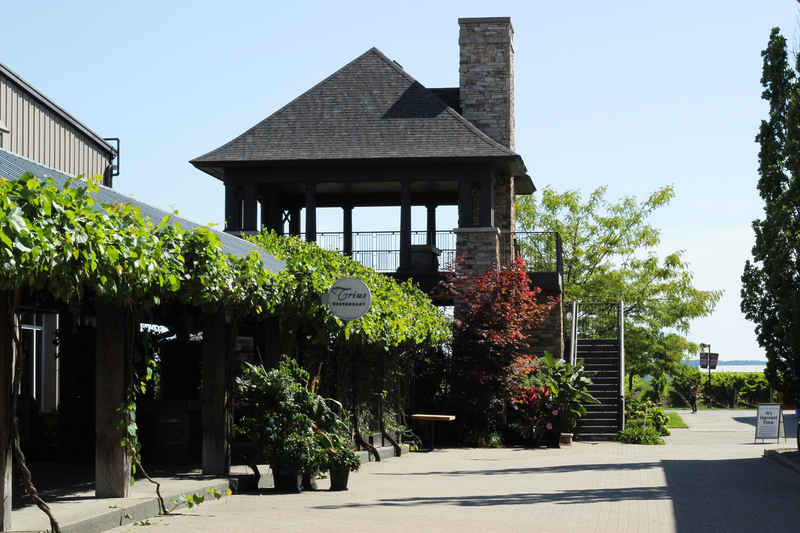 After Trius, we headed to our final tasting at Peller Estates. On our way to Peller, we realized that we were headed the wrong direction and had ended up on a backcountry road surrounded by farms. 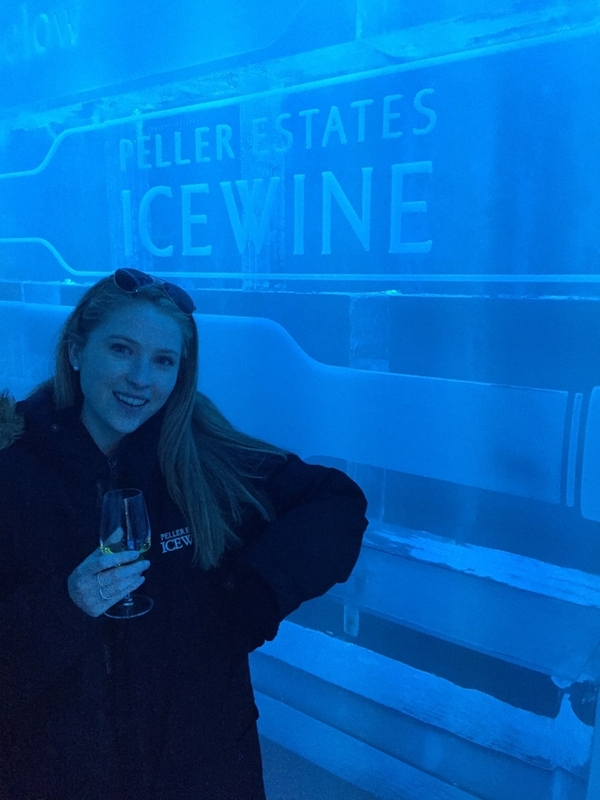 However, we somehow managed to book it to Peller in time for our scheduled tour, which included an ice wine tasting in a bar made of ice. After all of our tours were complete, we devoured steaks at Zee's Grill. 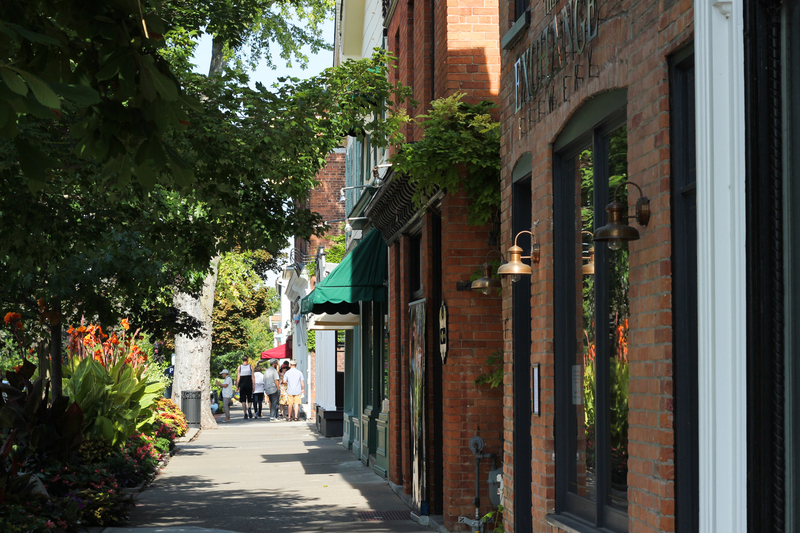 Niagara-on-the-Lake is definitely a foodie town and there are so many delicious restaurants to pick from, but make sure to reserve early as spots fill up very quickly! 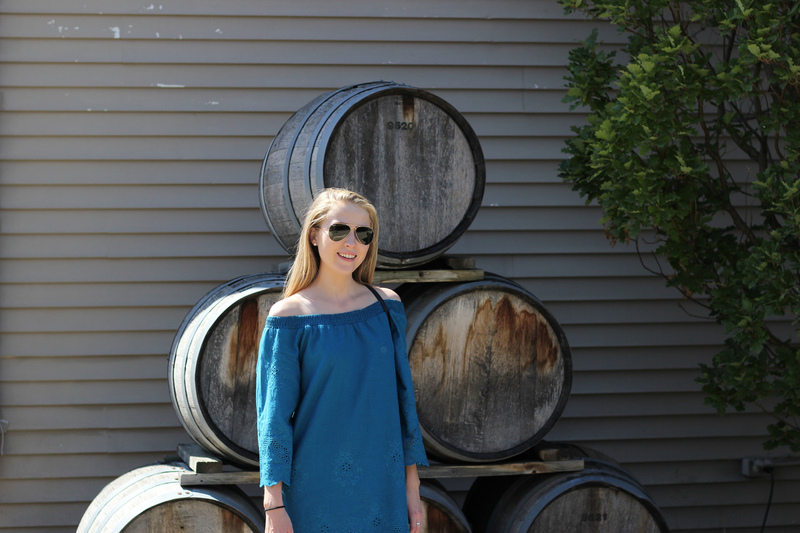 Although I got more exercise that day than I planned, I thoroughly enjoyed all of the tastings. 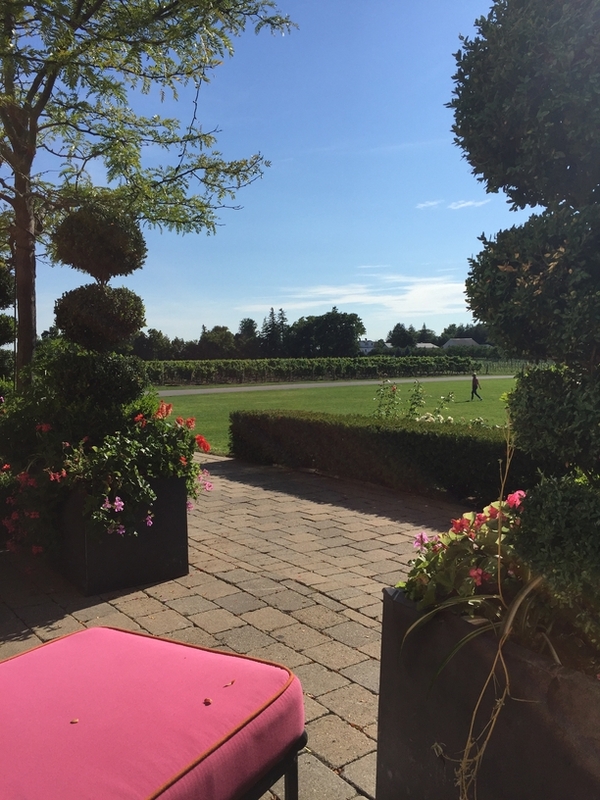 Next time, I'll spend more time at Peller, since they have interesting tasting experiences like a chocolate and wine pairing, and a large outdoor patio overlooking the winery. 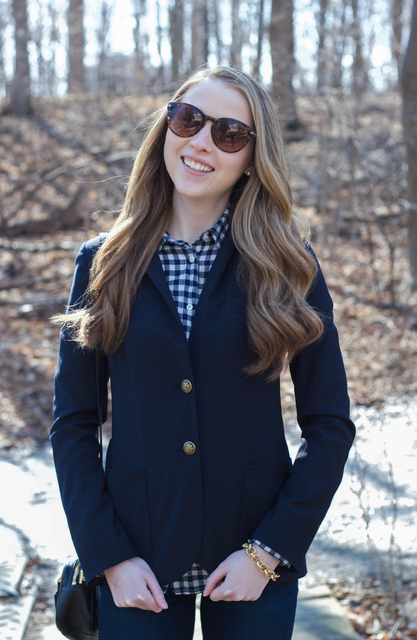 This summer I worked halfway across the country for a coop (internship), away from my boyfriend, friends, and family, so I was eager to plan a few vacations for when I returned back home. Having something to look forward to at the end of the summer helped me get through some long days at work and trying times with my roommate. 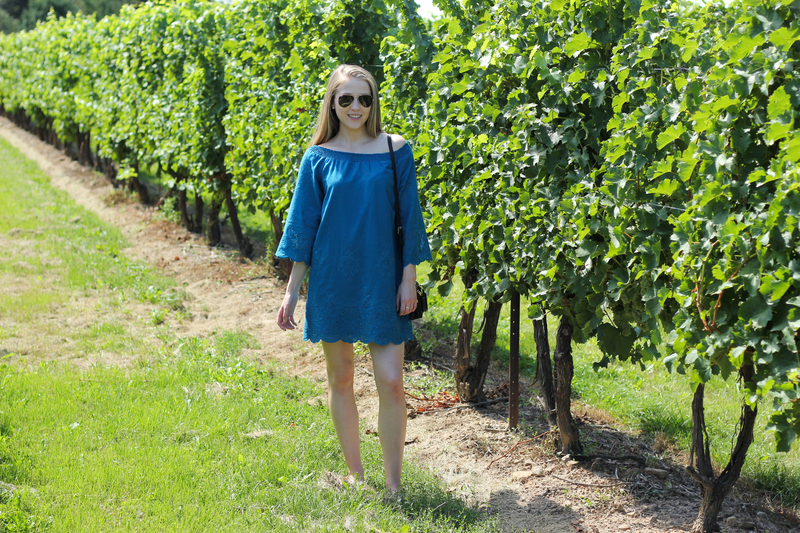 My boyfriend and I decided to visit Niagara-on-the-Lake for a weekend of wine tastings. We are in no way wine connoisseurs, but the idea of biking from vineyard to vineyard appealed to us. 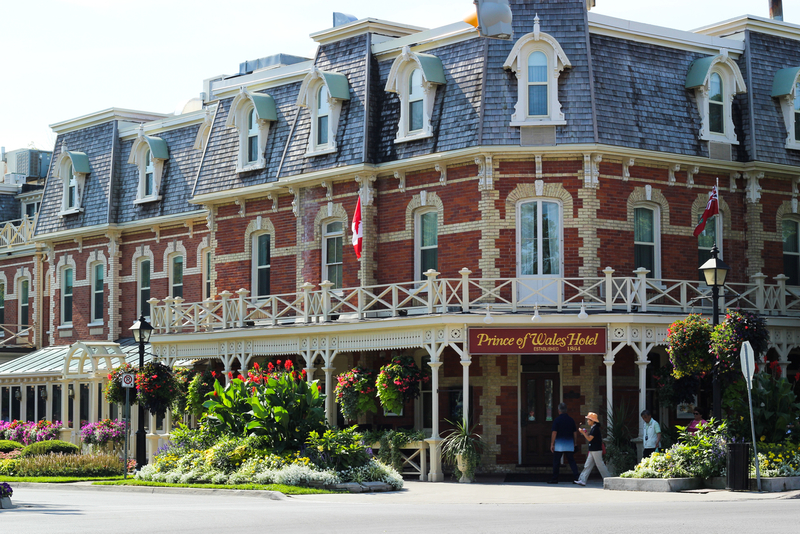 After spending a few days at his parent's place, we stopped by the uber touristy Niagara Falls, and headed to tasteful town of Niagara-on-the-Lake. After checking in at our B&B, we spent the afternoon exploring the main street, lake, and neighbourhoods. The entire town looks like one giant movie set. Everything is so picturesque, from the boutiques to the houses, even the drug store. 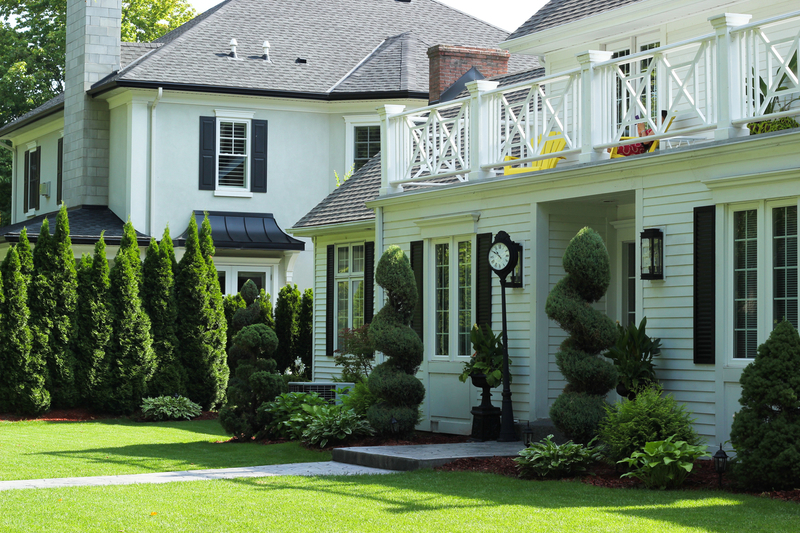 We stayed at the Scarlet Tunic B&B, which was an excellent choice of accommodation. Every morning the owner went above and beyond making a giant warm breakfast complete with fresh baked goods, fruit, and a main course. The B&B was also a few streets away from the main street, close to restaurants and more importantly, a gelato shop, which we visited every single day. 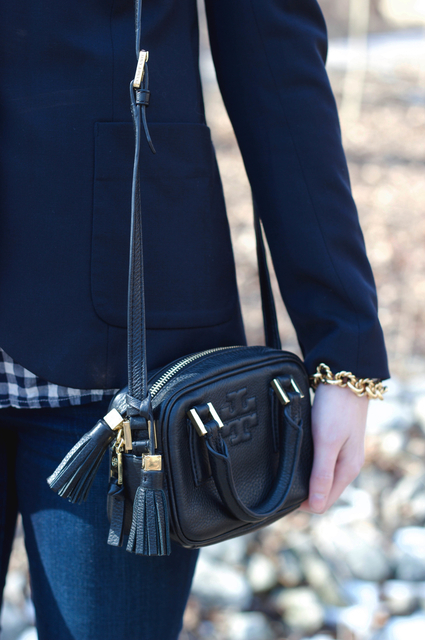 One of my favourite pieces of clothing is my navy gingham shirt. 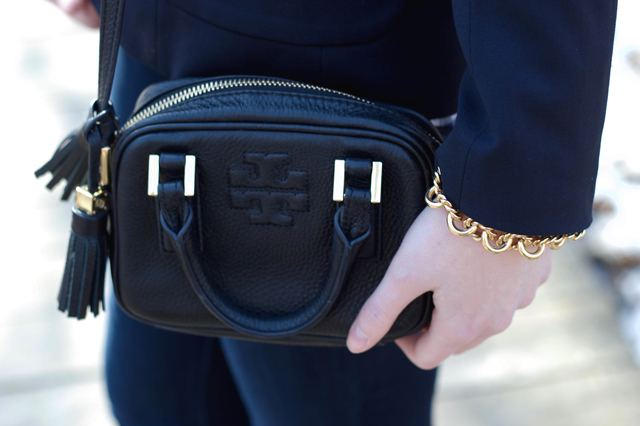 It's so versatile and I can wear it casually or dressed up for work. 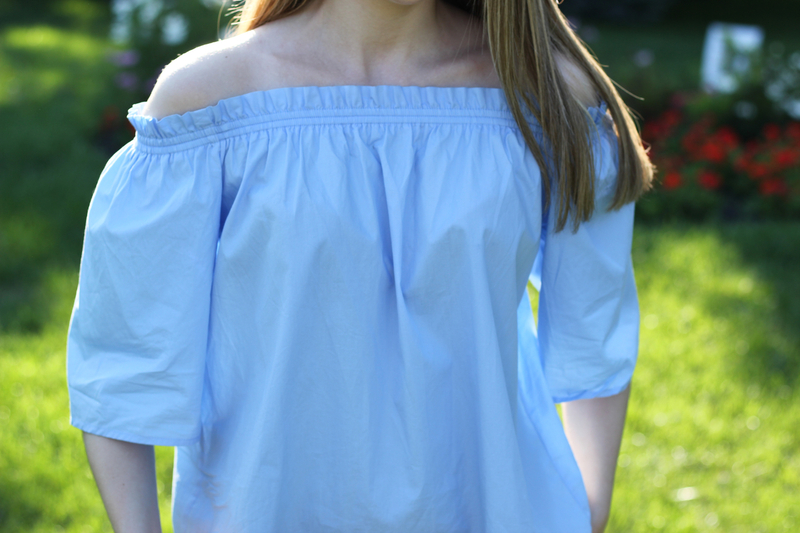 In the fall and winter I like to wear it under a sweater or a blazer, and in the summer, I pair it with chino shorts or a skirt. Lately I've been obsessing over the over-the-knee boots from Stuart Weitzman. I couldn't justify spending an arm and a leg over boots that I could easily see myself ruining, so I was so happy to find a similar pair for much less. They're a great alternate to heels for going out, because they're comfortable but still dressy.